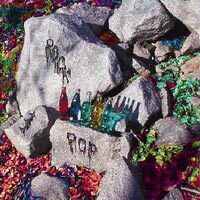 Booze & Psychedelics is the 11th studio album by Greg "Grey" Perkins. It was released on 31 December 2016. It was written about, and sometimes while I was partaking in, ”Booze and Psychedelics”. The songs cover everything from what we think or dream about in our everyday lives, to the memories of my past and on to wild sci-fi themes. The album will be followed with videos so that both the music and the image of what I was thinking when these songs were written, and later recorded, could be heard and seen by all. One departure on this album is that I took four poems by D.L. Lang and put music to them in a medley-type of format. It is the song entitled “Oh, My Chameleon Perceptions” after the title of one of the poems. I am very pleased with it and hope everyone will search out her poetry and enjoy it as I have. The videos mentioned above will be done at Grey Way Film Studios which is what I call the video making arm of Grey Havens Recording Studios. Thanks for watching and listening, Greg "Grey" Perkins. Enjoy !! "Through Time" is the 10th studio album by Grey. 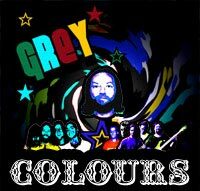 Released in August of 2014 it covers songs that have been written in the past by Grey but not recorded and also new material. 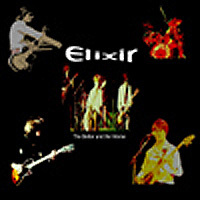 It begins in 1982 for the opening three songs when Greg "Grey" Perkins was in a band called Elixir. It jumps to 1989 for the next song where Grey worked with friend John Hill. Then it's on to 1994 for two songs and 1996 for one song that just never made earlier Grey albums. It continues to 2001 for the last of the past un-recorded songs. Grey teams up with Jason Harbour to write a tribute song to Layne Staley entitled "Hell Within". Grey has now recorded everything he has written with "Through Time". The remaining six songs are new songs from 2014. There are also 13 videos that were made for this album and they can be seen on this and other Grey websites. Enjoy !
" The musicians for “Dark Doorway” are familiar to Grey fans. Mikey Harbour was the drummer and Steve Harwood played piano. 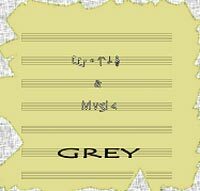 Dave Skinner worked with me not only as a producer but again as a musician as he did for the last Grey CD, “Inquire Within”. I enjoyed this very much as it brought a different color to the musical palette. 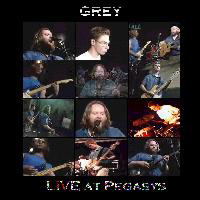 ” Grey has eight previous rock CD’s and has been a guitarist, singer, and songwriter for 37 years. "Words & Music" is Grey’s sixth studio album, recorded at his Grey Havens Studios, featuring Jason Harbour (Solo guitar on “September), Mikey Harbour (keyboard and synthesizer), Patrick Costello (percussion), Steve Harwood (piano), and Kelsey Stark (background vocals). 6. “Once Upon a Time,” Believed. 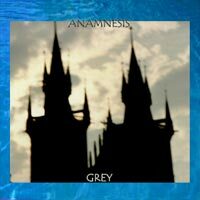 "Anamnesis" is a concept album following the lives of one family across 65 years. Recorded in 2003/2004 with musicians Jason Harbour, Patrick Costello, Mark Dorman, and Mikey Harbour, at Grey Havens Studios. Mixed and Mastered at Db Studios with Dave Skinner. The track “This is the Time, This is the Place” reached #4 on the Psychedelic charts at mp3.com, and the music videos for it, “Enough for me Tonight” and “Addiction” took home Best Music Video at the Bare Bones International Film Festival. During this time, Grey was featured as Artist of the Week at radio station KUAL, and interviewed to promote the album. Grey saw the death of mp3.com as an opportunity to re-record the album in 2004 at his Grey Havens Studios in a more leisurely fashion not provided to him with the original recordings. These recordings also feature the talents of Jason Harbour, Mike Harbour, Kevin Bunch, and Stephen Harwood. The album is an equal blend of rock and pop styles that are an enjoyable listen all the way through. 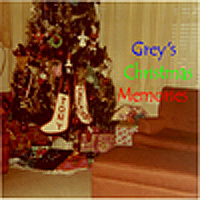 Grey says, “I began writing songs in 1981 while in high school. The songs have changed some since written and I have often debated the various forms of them I have created but these are the shapes I found to represent them the best. 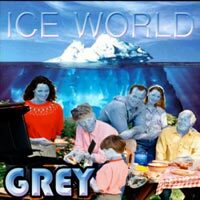 All songs written by Grey. Original recording, Produced and Engineered by Grey & “Doc” Mirouse. Recorded & Mixed during the Summer & Fall 1993 at Studio Queenriver and at Filataires’ Cellar in Toulouse France. Re-recorded in 2004 with musicians Jason Harbour, Mikey Harbour, Kevin Bunch, and Steve Harwood at Grey Havens Studios. Mixed and Mastered at Db Studios with Dave Skinner. 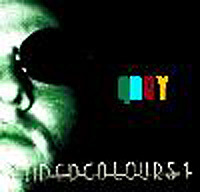 "Faded Colours I" and "Faded Colours II" are CD’s that represent music written and recorded prior to the Colours CD, (1981-1992) They are offered as a history, or a musical evolution. The February 2001 mp3.com release contained only two studio recorded songs, “Farewell to Arms” and “Emotional Baggage (Song for a Broken Glass). The remaining tracks were recorded on a multi-track home studio and were sketches of songs in some cases and finished to a greater degree in other cases. 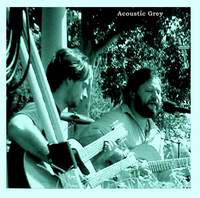 At Grey Havens, Grey re-recorded and re-released Faded Colours as a double-disc set in 2005. 1. Can It Be ? The following albums are out of print. Contact Grey to inquire about availability.